Unfortunately, this “whitewashing” is still prevalent today. For instance, blockbuster hit “The Martian” was slammed for casting white actors in roles played by Asian characters in Andy Weir’s novel. In 2015, Emma Stone was cast to play a woman who is one quarter Chinese and one quarter Hawaiian in “Aloha.” This year, the controversy was fuelled when photos of Scarlett Johansson playing a Japanese character in “Ghost in the Shell” emerged. “Growing up, I didn’t see many faces like mine on television and film. And because I wanted to be an actor, it was really hard to believe that I could ever be one. Only women who had a certain skin colour and eye shape were really allowed on screen, right? To this day, white people are cast as Asians, deepening the message that Asians just aren’t wanted,” she wrote. 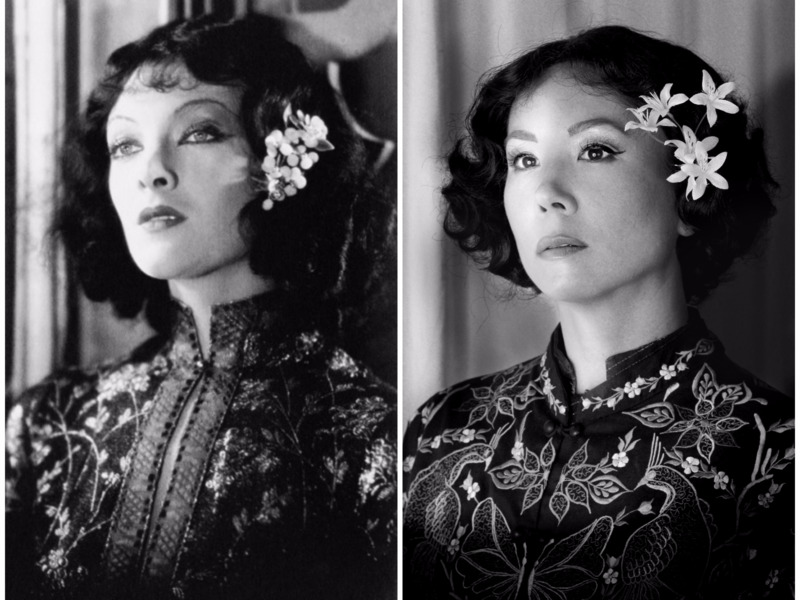 So she decided to correct the past, and began inserting images of herself into some of Hollywood’s most egregious cases of whitewashing. 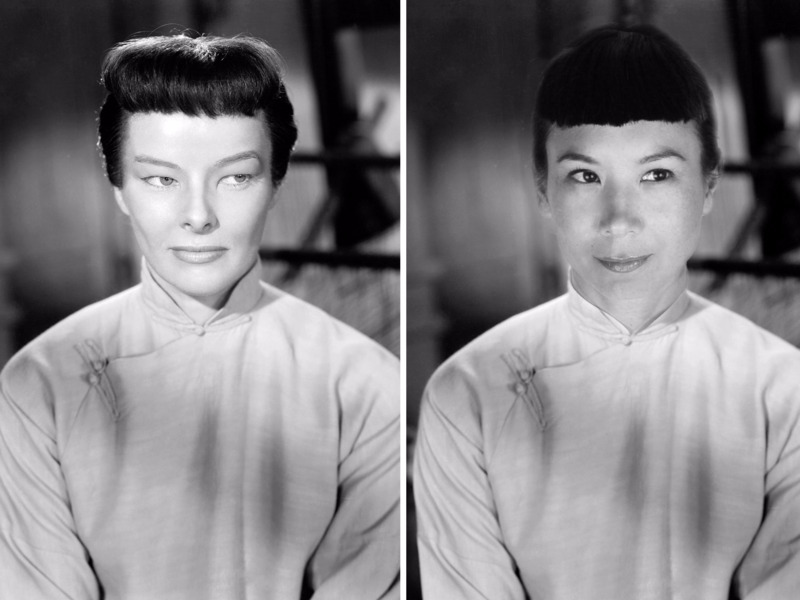 In 1944’s “Dragon Seed” Katherine Hepburn played a Chinese woman standing up to the Japanese in World War II. 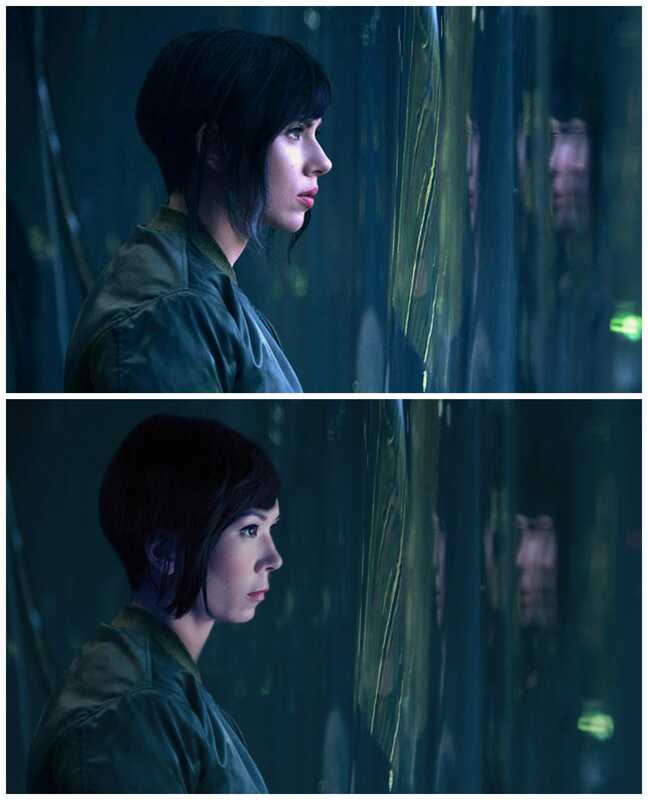 And finally, this is Villemaire as Scarlett Johansson, who plays a Japanese character in the upcoming live action remake of “Ghost in the Shell,” which will be out in 2017. Villemaire’s project is similar to the recent #StarringJohnCho, in which an artist inserted actor John Cho into movie posters to show the lack of Asian-American roles in Hollywood. Check out more about “Correcting Yellowface” over on Villemaire’s website.